Episode 704: Open Office : Planet Money This episode is for everyone who's ever had to ask their coworkers to quiet down or walk laps of the office to make a private phone call. Today on the show: We meet the man who stole your office door. 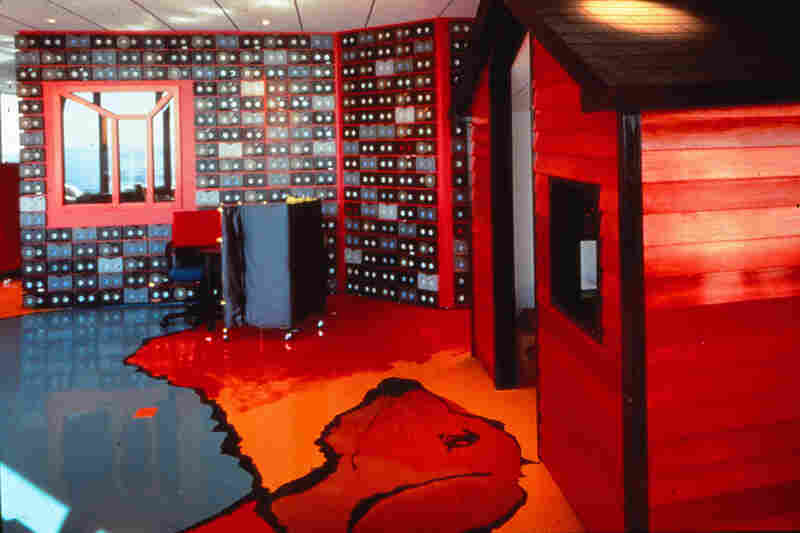 The Chiat/Day open plan office was designed to look like a giant living room. One person who worked in the office said "it was like sitting inside a migraine." 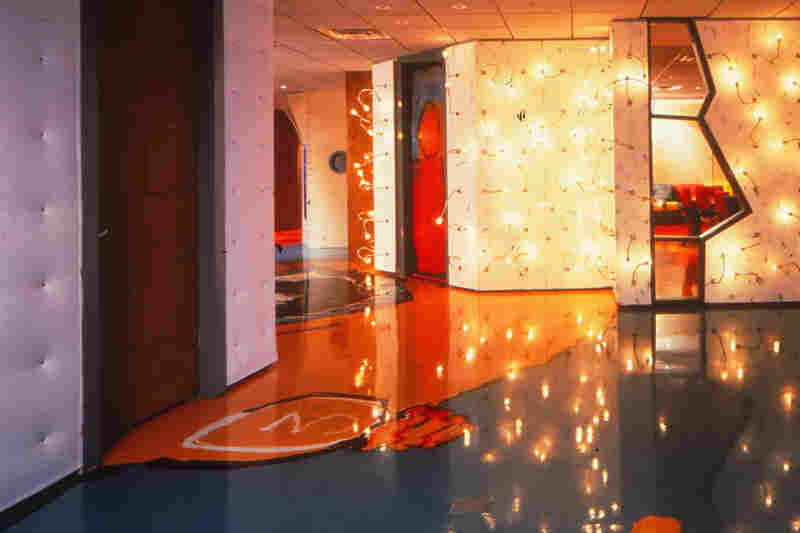 One of the meeting nooks in the Chiat/Day office, designed by architect Gaetano Pesce. 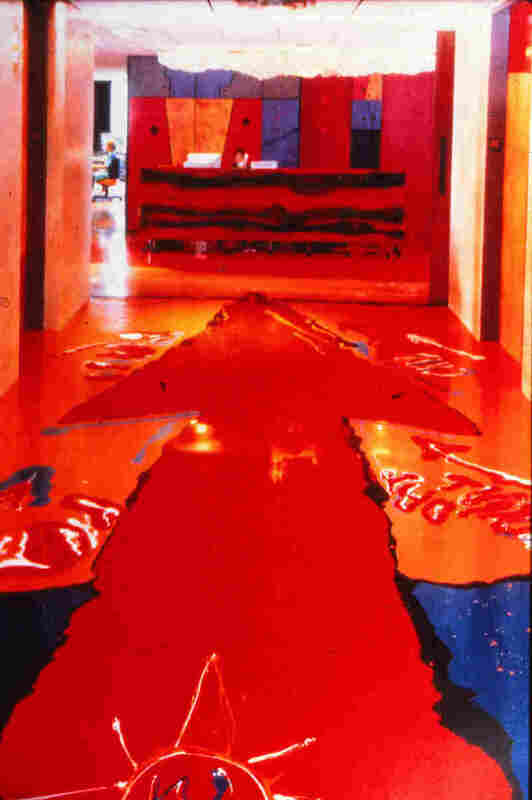 The brightly colored plastic resin flooring was poured by architect Gaetano Pesce himself. The booth where Chiat/Day employees checked out their cell phone and laptop for the day. Walls, doors, privacy—if you work a desk job in America, you probably do not have these luxuries anymore. This is the age of the open office, of half-cubicles and clustered desks, of huge rooms filled by long communal tables where white-collar workers sit shoulder-to-shoulder, wearing white earbuds to block out the noise. Over to the side, maybe there's a lounge space with sofas and a comfy chair or two. Maybe there's even a ping pong table on the way to the bathroom. 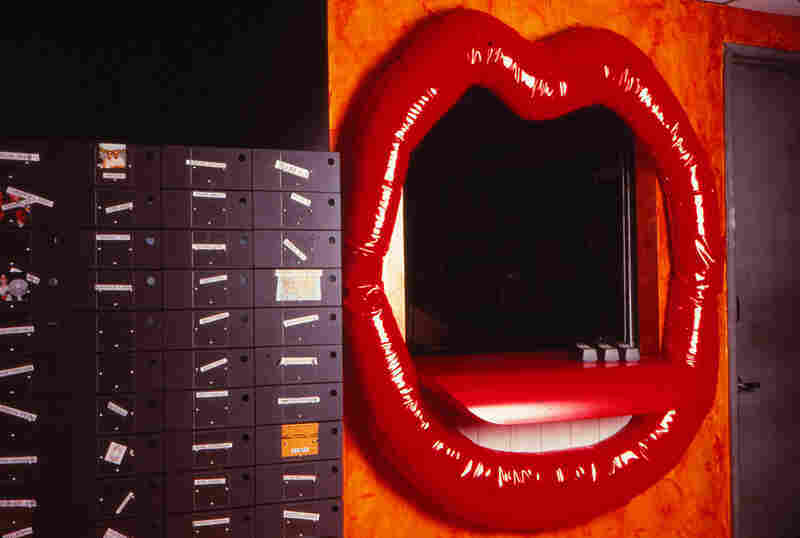 When we tell the story of the open office, we often begin with tech startups. Open offices feel nimble, informal, and social—just like startups, right? And then older companies saw the results from Silicon Valley, and they wanted in. To grow like a tech company, why not look like one? So the open office spread. 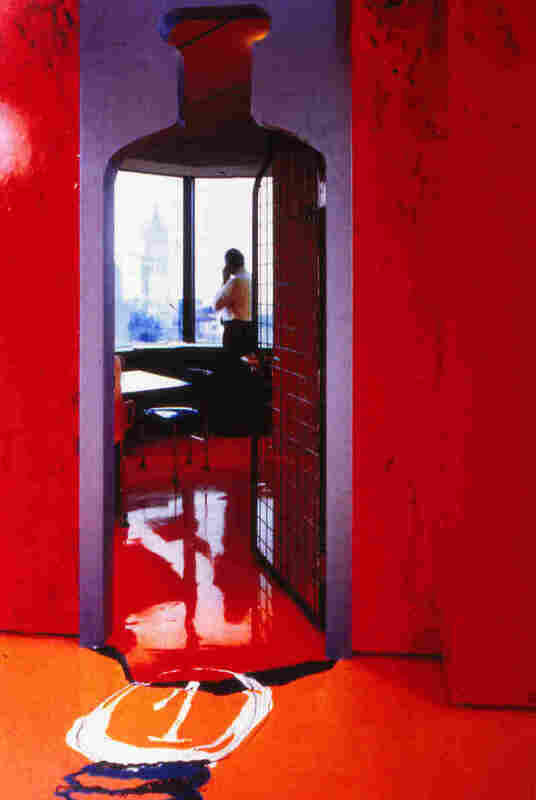 Now, seventy percent of American offices are open plan. That's how the story goes. On today's show, we hear how a vision on a mountaintop led to the birth of the open office. 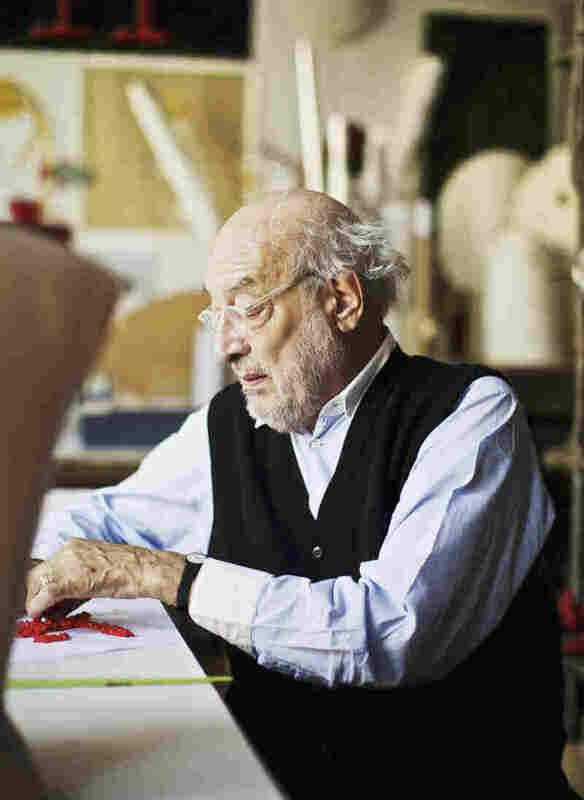 And we meet the stylish man that brought that idea to life (and, probably, to a workplace near you). Plus, you get to hear what our open office sounds like in all it's cacophonous glory. Radio reporters, not so quiet! Music: "Just Like Me" and "Feel Good Groove." Find us: Twitter/Facebook.